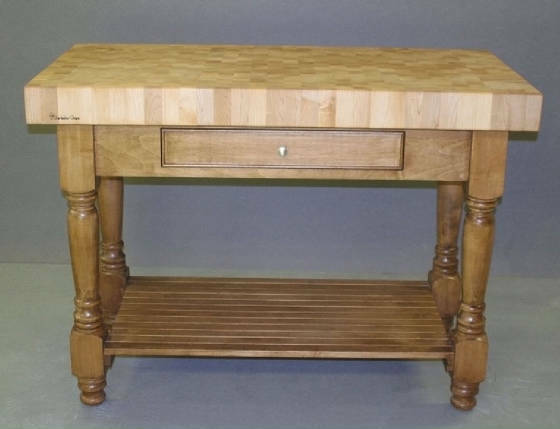 Charleston Chops is an exclusive line of top quality cutting boards, butcher blocks and now, a line of beautiful kitchen islands/worktables! To learn more about the Charleston Chops Island Collection, visit our Products page. The Charleston Chops line is proudly manufactured in Charleston, South Carolina using only FSC (Forest Stewardship Council) certified hardwoods. Charleston Chops is a product line of Charleston Woodworks, Inc. With decades of experience in the wood products industry, we have been able to assemble a line of products that will not only be beautiful additions to your kitchen, but will provide useful service to you for many years. Please look around to learn more about our line! We process our online orders through PayPal.